In December 2008, when General Motors was about to go belly up, President Bush gave the giant automaker about $50 billion as bailout money. The government’s investment was converted to a 61 percent equity stake in GM plus preferred shares and a loan. In December 2013 the government lost $11.2 billion on its bailout when it sold its stake in GM. Actually, while I absolutely agree with the sentiment, from a practical point of view, the US Government has no more right to expect GM to pay back the $11.2 Billion than any other stockholder who loses money on the sale of some stock. The problem here starts with G.W. Bush deciding to bail out GM instead of letting it deal with the consequences of bad management. Then Obama compounded the problem by converting the debt into stock – presumably because he though he could do a better job of run-in the company than anybody else. That didn’t work either, so he sold the stock, took his $11.5 B loss and went on his merry way. GM doesn’t actually OWE the US one dime of that $11.5 B. What I actually DO like is the idea that Trump has voiced about getting rid of all the incentives for electric cars. Said incentive actually benefits nobody and is just a way to pump tax dollars into car manufacturers bank accounts. Man how times have changed for GM. I feel like I sat on the front row watching the decline. As a kid my best friend’s dad was a Pontiac dealer regional manager. Got to see the first GTO, Grand Prix (original and redesign) Lemans, 2+2s, etc. We always had Pontiacs around and even my grandmother got her Star Chief and later Tempest through him. As a 10 year old it became my goal to become a car designer in Detroit. Most of my many cars over the years had been GM products until 2004 or so. After running through four 4WD mini Blazers in my work I decided I would try a Ford truck. I did that because all of those Blazers came from a plant in New Jersey and New Jersey, faced with an almost identical situation we had in Texas with Tom Delay not being allowed on our ballot because of an indictment saw Mike Toricelli’s bribery conviction result in Frank Lautenberg getting placed on the ballot in that state and winning handily. 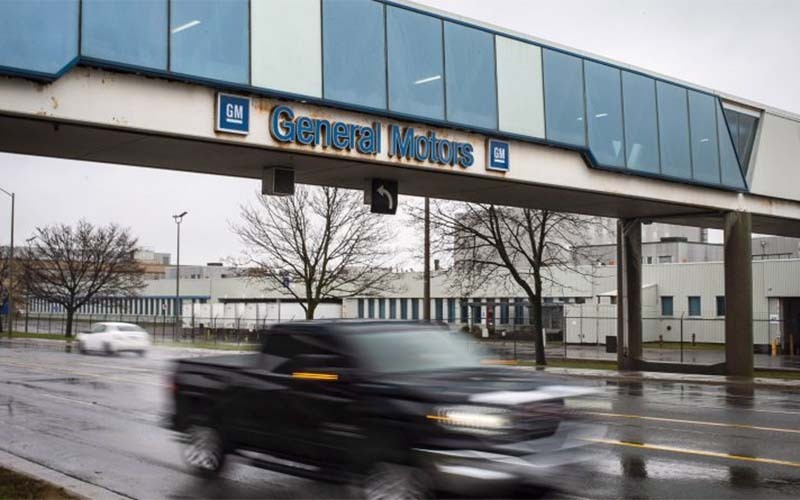 The bailout to GM solidified my disgust. Detroit bankrupted. Another new Ford Truck. Glad I failed to follow through on that childhood dream. And GM can do whatever it wants but I don’t want to see any more bailouts to that welfare program that happens to turn out cars on the side. It is true that GM has no obligation to keep plants in the US or Canada open (any more than they had an obligation to pay off the lines of credit they had built with numerous small-business suppliers); however, I am also under no obligation to even consider any of their products. Although I am certain that they are not cruising blogs and gauging “buyer” sentiment, I will never again consider a GM product. I don’t care how many actors you place in GM vehicles and how many times they proclaim, “How is that even possible?” I will not do it. Absolutely! I quit buying GM when they became a government chattel. I agree completely Mark. I have purchased 2 new cars since that bailout and I didn’t consider purchasing a GM product for even a blink of an eye. But I gotta admit that the new Camaro SS’s sound awesome!